The agreement may be in action starting the end of 2017/beginning of 2018. Vietnam and the EU made a trade deal “in principle” on Tuesday which would lift the majority of tariffs on goods. The EU Trade commissioner Cecilia Malmstroem said “we have a deal,” as her office said it was “an agreement in principle” after two and a half years of “intense” negotiations for a free trade agreement. “This finely balanced agreement will boost trade with one of Asia´s most dynamic economies,” Malmstroem said. “It sets a new, better and modern model for free trade agreements between the EU and developing countries, and establishes a good standard for the trade relationship between the EU and Southeast Asia as a whole,” she also added. Vietnam has a fast growing market with over 90 million consumers and officials expect the new agreement to increase European investment in the nation. Goods which were traded between the two economies amounted to more than 28 billion euros ($30.75 billion) last year. 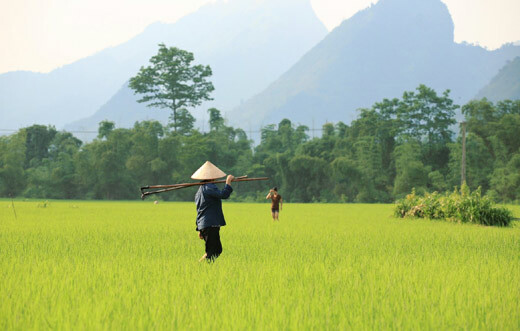 Vietnam’s most commonly exported items to the EU are electronic products, telephone sets, footwear, clothing, textiles, coffee, rice, seafood, and furniture. Items imported to Vietnam from the EU consist mostly of high tech products, including electrical machinery and equipment, vehicles, aircrafts and pharmaceutical products. The other opportunity available to EU companies through the pact includes the option to bid for public contracts in Vietnam for work on infrastructure such as roads, ports and rail. As part of the deal Vietnam will liberalize trade in telecommunications, financial services, transport, and postal and courier services over 10 years whilst over 7 years EU duties would be eliminated. Law, human rights issues and democracy are also to be bound within trade. The agreement has taken two and a half years of talks to be agreed upon. Officials must now agree on remaining technical issues, such as dispute settlement, before the deal can be officially approved by EU member states and the European Parliament. Providing the sign off is straightforward Malmstroem said the trade deal could enter force by late 2017 or early 2018.